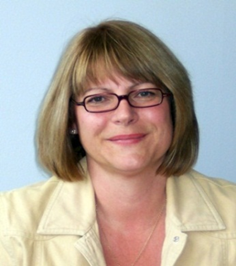 NHS England is pleased to announce the appointment of a new National Clinical Director by the Medical Directorate at NHS England, Lesley Boswell, RMN, RGN, RHV, MA Medicine, Law and Ethics, MA Public Sector Management is the new National Clinical Director for Rural and Remote Care. At the NHS Commissioning Board’s Medical Leadership Conference in March this year, the National Medical Director, Professor Sir Bruce Keogh, announced the appointment of 26 National Clinical Directors (NCDs). Their roles are to work with NHS England to provide clinical leadership and support towards delivering improved health outcomes across the five domains of the NHS Outcomes Framework, set out in objectives within the Secretary of State’s Mandate. Lesley is a senior nurse and Chief Executive having held a number of senior positions in the NHS in the North West, South and South West and at regional level. She has a significant track record of achievement with acute, mental health and integrated health and social care organisations, particularly serving rural and remote areas. Lesley is a practicing clinician in Sexual Health and in a charity. She has a clinical interest in systems theory and ethical decision making. Lesley’s career interest is in the health and well-being of rural populations, overcoming the challenges of accessing services, rural health and technology; and promoting research and collaborative action into the links between human health and the environment.